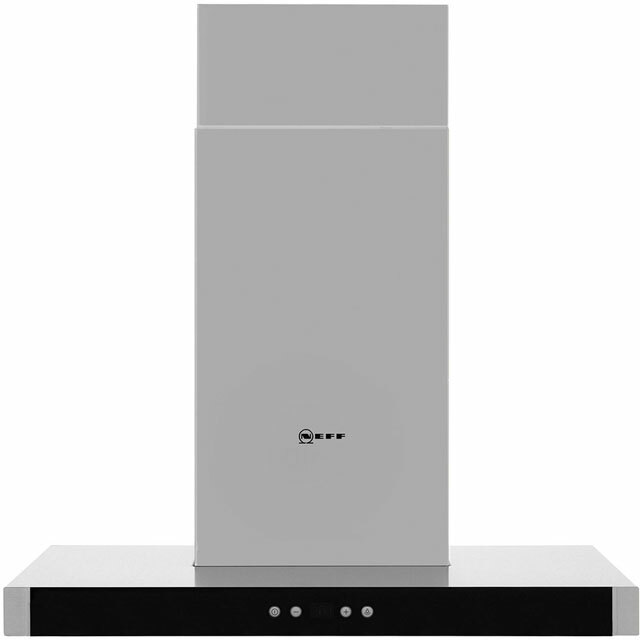 The Neff D76MH52N1B Cooker Hood comes in a contemporary stainless steel colour. The D76MH52N1B has 5 variable venting speeds. The D76MH52N1B has a electronic control type. This model has an extraction rate of 680 cubic meters/hour. It incorporates the choice to have recirculation or external venting. You will require a ducting kit if venting externally.The Cooker Hood runs at dB. The D76MH52N1B has 2 lights. To offer peace of mind the Neff D76MH52N1B built in-integrated Cooker Hood also comes with 2 years warranty. Great product. Works very well with minimum fuss and is very quiet as well. On the "Button" and on the "Money"
The NEFF Cooker Hood arrived, I have to say that we are very pleased to say that this item is a real quality product and in my opinion the best on the market today. The only niggle is aligning the 2 part 'chimney' is tricky against an exposed brick wall. Not disappointed got the looks but actually works. Decided on this hood after considering many others including angled and flat paneled hoods. Made the decision based on looks and practicality. Definitely the tight choice the NEFF N50 D76MH52N1B 60 cm Chimney Cooker Hood has the clean lines that lend to a contemporary look but actually performs as needed efficiently clearing fumes, steam and cooking smells better than expected. Not disappointed.